Dunlop® Elite 4 Tires are a potential fitment for hundreds of touring bike models from the 1970's to present day. 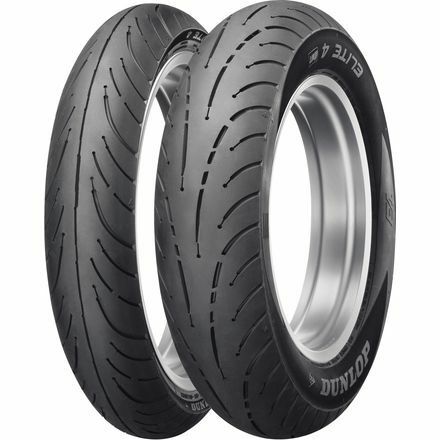 Featuring Dunlop's Multi-Tread™ MT Technology on all rear sizes in the range. Offers significantly higher mileage when compared with current single-compound tires. A bold, new tread pattern offers excellent grip in wet and dry conditions, with a particular focus on even wear and lower road noise.